Hi! Thanks for offering to evaluate. I'm trying to assess whether it's worth it to go through the MBA process. See below for profile info! EDIT: And curious about Wharton too! Please accept our apologies for the delayed response – as you can imagine, we’ve been quite busy! But I’m happy to share some initial feedback on your profile. It sounds like you’ve had a very interesting journey as an entrepreneur so far. I’m interpreting your experience as a nice balance between technical skills (i.e. software engineering) and business management skills, which will certainly play in your favor in your applications. Highlighting leadership, impact, resilience, etc. out of that experience will be key and entrepreneurs that I’ve worked with in the past have sometimes found that to be challenging coming from a start-up environment when lines and roles are often blurred. It just means you need to be thoughtful and strategic in how you lay all that out. Your undergrad GPA is so-so but a killer GMAT score could certainly help mitigate that. You could also consider enrolling in a class (accounting, finance, stats, etc.) and getting an A in order to provide evidence of more recent academic success. Your lack of extra-curriculars is probably the other challenge I see in your profile. The top programs are looking for well-rounded, multi-faceted students who have demonstrated a track record of leadership both in and out of work. It’s probably a bit pointless to start something from scratch right now but perhaps there’s something you can do to build on a pre-existing activity? 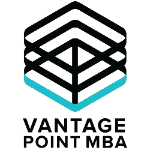 In general, it’s tough for me to advise on school selection and chances of a scholarship without a GMAT score, and more importantly, understanding what you hope to do post-MBA. It’s a very competitive applicant pool at the top schools so in my experience, it will really boil down to overall story and goals. My advice is to wait until you’ve taken the GMAT to finalize your list of schools - a crazy 780+ score could change things for you vs. a 720. Best of luck to you! Let me know if we can help further.